Sale Alert: OnePlus 3T Is Down To PHP 19990! Home / mobile / news / oneplus / Sale Alert: OnePlus 3T Is Down To PHP 19990! Game over? Digital Walker, the official and exclusive distributor of OnePlus is the country just gave the OnePlus 3T flagship smartphone a HUGE price cut! 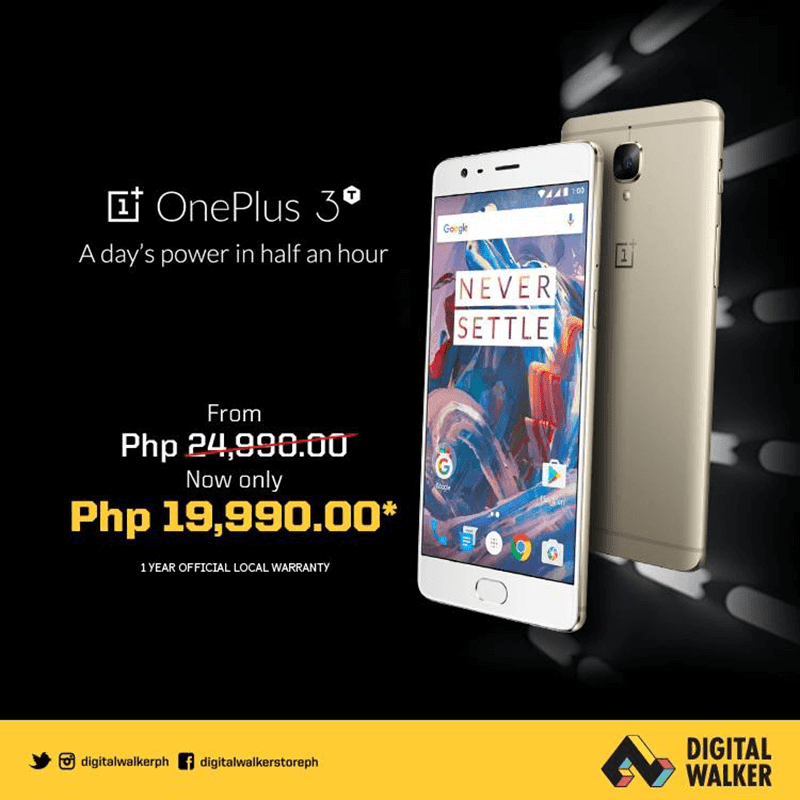 From the already lucrative SRP of PHP 24,990, the OnePlus 3T is now available in select Digital Walker stores with a more tempting price of just PHP 19,990. The sale price made the OnePlus 3T the most affordable smartphone in the country with premium build, high-end specs, and whopping 6 GB of RAM. Personally, this is the best smartphone deal in the country right now.